Katya Nosova is 16 and wants to be an artist. Her parents Sasha (left) and Lesya (right) hope to send her to a private art institute in Kyiv. Katya is growing up in Borodyanka, Ukraine, where many Chernobyl evacuees were resettled. At age 4, she had vision problems that were blamed on radiation but proved correctible through surgery. 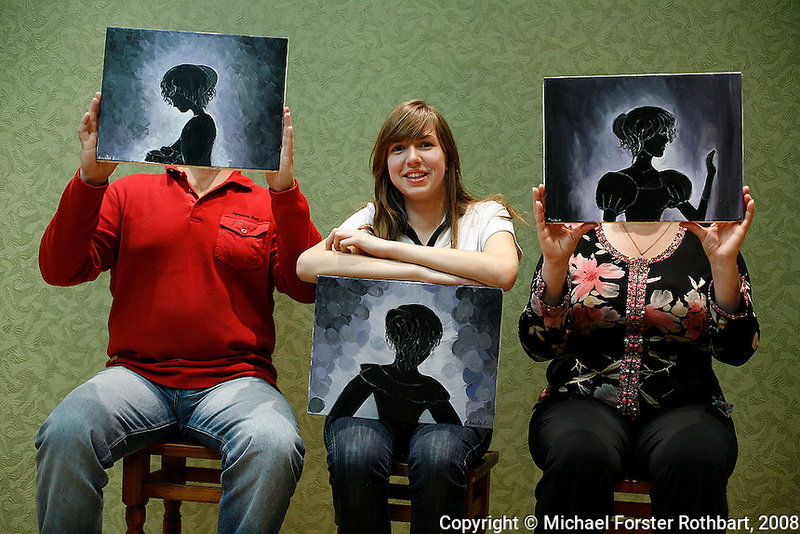 Original caption: .Katya Nosova with her parents and her paintings. Full caption to come.